We live and work in the community, and proudly sponsor, donate, and participate in charity events that give back. 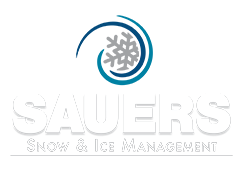 Sauers is proud to help out when and wherever it can. For years, we provided tree care and landscaping services for local parks and playgrounds. Overgrown roots, low-hanging branches, and tripping hazards on sidewalks are all liabilities for children. We were happy to nix those problems pro-bono so our kids had a safe area to play. Sauers donates a portion of our invoices to the American Cancer Society. Research leads to treatment and ultimately prevention. We’re happy to assist in the process by donating a portion of our profits towards this important cause. Sauers actively participates in fundraising events that help the community and important charities. American Cancer Society: In June of 2014, we helped raise over $15,000 for the American Cancer Society in the Eastern Montgomery County Relay for Life, which our very own Stephanie Sauers-Boyd is apart of. She is on the Chair of Fundraising. Relay for Life: We also raised over $9,000 during our “Bowlathon” event in June of 2013. It was our 4th annual Strike Out Cancer event. All proceeds go towards funding our Relay for Life Team, which in turn goes towards the American Cancer Society. We’ve been supporting this charity since 2000. It’s an issue that we care deeply about, and we’ll continue to give our support in any way possible. If you would like for us to donate or sponsor your cause, please submit your information to Sauers. We receive many requests and meet regularly to determine if your cause can be approved. Thank you! Contact us to schedule a free property evaluation or request a proposal for Commercial Snow Removal Services. Call 215-659-1613 or fill out this form today.